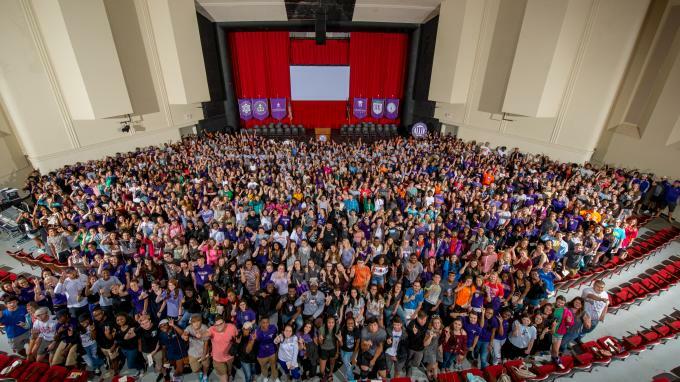 NSU Northwestern State University welcomed nearly 1,500 incoming freshmen to campus and hosted the New Student Convocation and President’s Picnic Aug. 20 to mark the start of their academic journey. The students come from 316 high schools in 16 states from Alaska to Florida, as well as several foreign countries. Move In Day and Convocation also launched Demon Days 2017, a 42-day schedule of activities that immerse students into campus life, service and university traditions. University officials expect to report an increase in enrollment, as well as an increase in fall to fall retention this semester. Fall classes began Aug. 21.